Short on time? 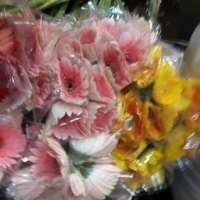 Let gerbera sellers contact you. Gerbera is widely used for decoraton purpose and for make bouquets and these can easily fill a vast area marked for decoration. They come in a variety of colors and gives a very good look when used for decoration purposes. Excellent gerberas available. For prices please get in touch as prices may vary form tie to time. All type of qulity assurance. 100 boxs, 5kg/box. 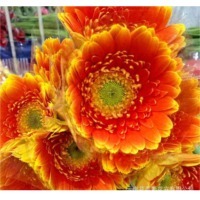 Gerbera jamesonii flowers have been cultivated from tissue culture plants supplied by k.F. Biotech ( tissue culture from holland), florance flora ( tissue culture from israel), aracadia agro ( tissue culture from portugal. 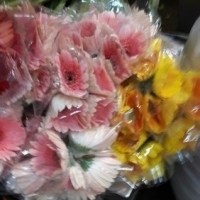 We have red , white , yellow , orange, double colour, purple, violet, pink, dark pink, with green , yellow or lack centers. Biggest number of flowers under one roof. Each bunch contains 10 flowers. They are packed in corrugated cardboard boxes 100x40x20. 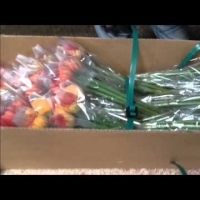 Each box contains 40 bunches i.E. 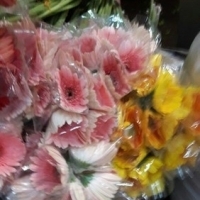 400 cut flowers of gerbera.